Maybe YouTube is blocked at your school, like it is at mine, or maybe your internet connection isn't reliable. Either way, there are many advantages to having videos saved to your hard drive or flash drive. 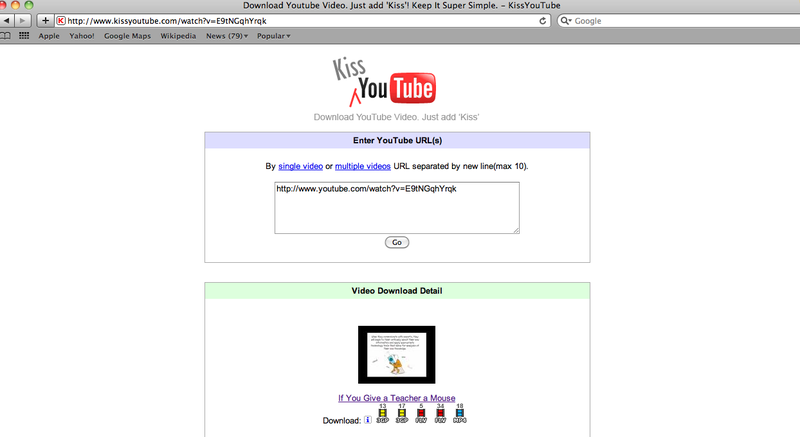 Ever notice there is no download option on YouTube? 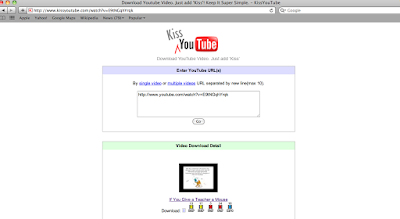 The trick is simply to add the word "kiss" to the beginning of the url, right after the "http://www." part.